Sohel Abidin - iphone 7 winner! Mohammad Ariful Islam - iphone7 winner! Jayanta Mitra - iphone7 winner! 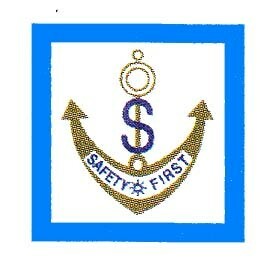 NAFFCO was founded in Dubai, UAE to become the world's leading producer and supplier of life safety solutions. By recognizing the importance and convenience of having easy access to multiple safety services, we became specialized by offering complete solutions under one roof for all types of high quality firefighting equipment, fire protection systems, fire alarms, addressable emergency systems, security systems, custom-made vehicles such as fire trucks, ambulances, mobile hospitals and airport rescue firefighting vehicles (ARFF). NAFFCO firefighting total solution includes UL/FM approved fire pumps, water and foam sprinkler systems, Hydrants, hoses and firefighting cabinets, wide range of fire extinguishers, UL listed Fire Doors, Emergency light & UL listed Addressable fire alarm systems. With the most talented and dedicated employees from around the world, NAFFCO has over 450 passionate engineers and over 4 million square feet of manufacturing facilities. We are currently exporting our products to over 100 countries worldwide. Our products have been consistently certified by UL, FM, BSI, LPCB and Global Mark according to the latest International Quality Standard for their strict adherence to ISO 9001 quality management systems and certified for ISO 14001 environmental management systems and BS OHSAS 18001 for occupational safety by UL DQS. Our success is driven by our "passion to protect"; our vision is to become the world's number one provider of innovative solutions in protecting life, environment and property. FIREX has been involved from activities started in the early eighties by professionals in the field of Fire Fighting It was established in Sharjah ( U.A.E.) in the year 1998 and has built up a range of quality products with a commitment to develop innovative fire fighting products and to provide a world class quality and services. Since it was established, FIREX has grown-up rapidly as one of the largest professional companies in the field of Fire Fighting Industry. FIREX have been awarded as ISO 9001-2000 Certificate of Approval by the first year of its operation and so far it is the only national Manufacturing Company in the field of FIRE FIGHTING in United Arab Emirates. We ATEL (Avenue Trade & Engineering Ltd.) are well known engineering and trading company in Bangladesh. Our main activities are indenting , design and installation and after sales service of supplied industrial equipment s. qualified and well trained engineers are fully active in marketing, installation and commissioning for all types of fire pumps. We are specialized by offering fire protection solutions under our company for all types of high quality firefighting equipment, fire protection systems, and security systems. EBITT firefighting solution includes UL/FM approved fire pumps, UL/FM approved fire engines, and UL/FM approved fire panels, water sprinkler systems, Hydrants, hoses and firefighting cabinets. EBITT has experienced passionate and dedicated engineers and big manufacturing facilities. EBITT are currently exporting products to worldwide. Our products have been certified by UL, FM, BSI, Global Mark according to the latest International Quality Standard for their strict adherence to ISO 9001 quality management systems and certified for ISO 14001 environmental management systems. EBITT, your reliable power at your fluid management. Our mission is to be the BEST in Quality, Products, Services, Price and On time Delivery. We are working in order to improve the quality of life. BRISTOL FIRE ENGINEERING, part of the Concorde – Corodex Group, is the leading fire-fighting and fire protection manufacturer in the Middle East and has been unsurpassed in innovative fire-fighting solutions for more than 40 years. We have been steadfast in our developments and have grown to become pioneers in the industry for unmatched quality and dependability, longstanding commitment and unwavering dedication. Our headquarters and manufacturing facility started in the UAE’s Emirate of Dubai, producing world-class fire-fighting systems and equipment in cooperation with international know-how and technology with a grand vision to expand globally. We strive to continue to adopt the highest international and national standards in line with the UAE’s goal to become the safest country in the world. BRISTOL was one of the first fire-fighting companies in the Middle East to receive an ISO 9001 certification, placing great emphasis on achieving local and international approvals on product certifications such as Kite Mark, LPCB, UL listing, and FM approval. Moreover, BRISTOL is certified to ISO 14001 and OHSAS 18001. We focus on innovation by means of continual research and development of advanced fire-fighting solutions, ensuring we not only meet, but exceed the demands of our rapidly changing market. For decades, we have been proudly supplying various government entities and sectors such as the oil and gas, commercial, and industrial sectors across the globe with world-class equipment and services. BRISTOL has been serving Middle Eastern, African, Asian, and European markets for more than four decades with a vision to expand further. Bristol Vehicles Manufacturing Division (VMD) specializes in engineering and manufacturing of bodies for all types of commercial and specialized vehicles. 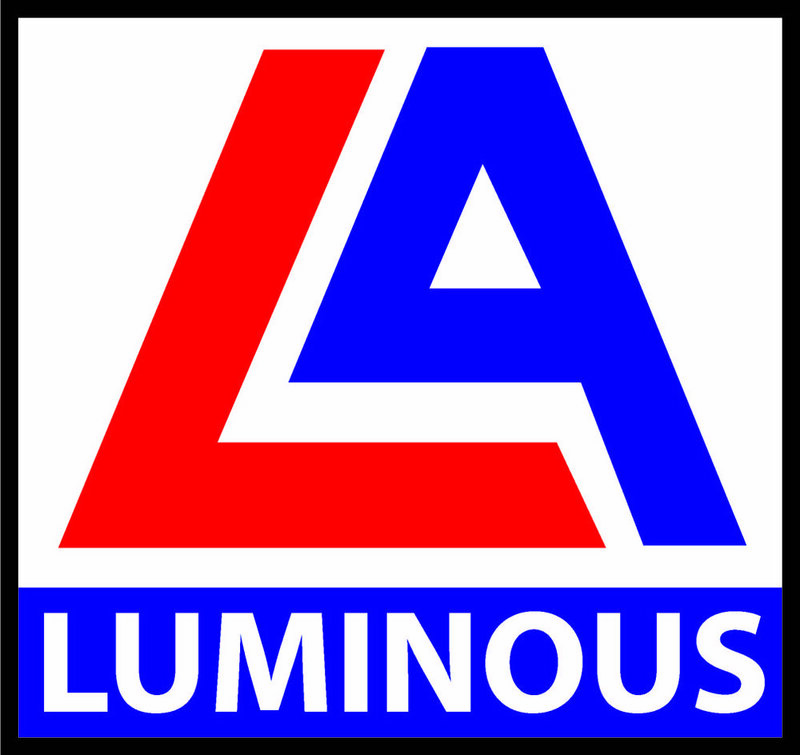 Product range includes Fire Alarm & Detection Systems, Fire Suppression Systems, Foam System /Foam Concentrate, Fire Sprinkler Systems, Fire Pumps, Ambulance & Firefighting Trucks, Hydrant Valves /Nozzles, Wet / Dry Riser Components, Fire Extinguishers (Wet Chemical, Dry Chemical Powder, CO2, Foam, Water), Cabinets and Fire Doors. "Emkay Enterprises Ltd. is a multidisciplinary consultancy firm registered in 2003. 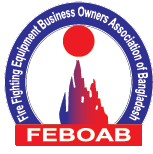 It is a well known international engineering consultancy firm based in Bangladesh. The firm provides consultancy services in planning, designing, engineering and project management across a variety of sectors like Electrical Safety, Fire Safety, Building Safety, Sustainable Development, Automation and Architectural & Construction. An in-depth knowledge of our Engineers, combined with the international expertise has produced landmark projects that are completed on time and within budget. Emkay Enterprises Ltd. is also distributing high end industrial equipment as Domino Industrial Printer and Fire Safety equipment." SFFECO GLOBAL is a global leader in products that save, support, strengthen and sustain lives continually. Under the strong leadership of innovators and strategists, who share the love for life along with our corporate vision, SFFECO GLOBAL with its products touches the lives of millions around the world. Concentrating through research and developing certified and listed products as per the industry standards. Ever since our inception in 1983, innovations are not chased around here; they follow imaginative minds naturally. Z3 Corporation is a leading Fire Safety, Electrical Safety, Building Safety & Structural Safety one-stop solution provider in Bangladesh. With our registered offices in UAE, UK & Bangladesh, we ensure the most precise and cost effective sourcing of safety equipments for Government and private sectors in Bangladesh. Our group is a listed supplier of Bangladesh Army, Bangladesh Air Forces, Bangladesh Navy and Bangladesh Police. For private sectors, we have a huge expertise of in-house Engineers and Technicians with foreign work experience (Gulf & EU). We supply UL, ULC, FM, LPCB, Kitemark approved items. We're authorised distributor of NAFFCO (UAE) and Shield (UK). Amongst our other product range, we provide Tyco (USA) & Shield (UK) Sprinklers, Shield (UK) Addressable Fire Alarm System, Honeywell (USA) Air Sampling System, Shield (UK) Valves and Fittings. All our Fire Detection, Sprinklers and Hydrant items are UL/FM listed. At Z3 Corporation, we do not compromise on product quality as our motto stands- "Your Safety, Our Priority". We develop Fire Detection Design, Fire Protection Design, Electrical Single Line Diagram, Lightning Protection System Design, Structural Detailed Engineering Assessment, Structural Design Report through a dedicated team of senior Engineers with experience of working abroad (Gulf & EU) in a wide range of Engineering sectors. Our engineers are well grounded on NFPA & BNBC codes. Hence, our designs are the most safe and compliant to International Safety codes (NFPA). As for project implementation, all our projects are supervised by expert Engineers (BSc- as a minimum). We use cutting edge tools & machineries (Japan, Finland, etc. origin) for installation and implementation. For testing & commissioning we often bring engineers from NAFFCO, UAE. Our working ethos is established on the principle that Z3 Corporations sets the quality bar so high that our workmanship and professionalism are second-to-none. Established in 1985 in UAE, Aikay Pump Assembly LLC is a manufacturing division under Al Khoory group of companies. An ISO 9001:2008 Certified company, the firm is involved in production, assembly and fabrication of all kinds of water pumps, firefighting pumps, vertical multistage pumps, generators etc. The firm is also engaged in service and repair activities of various equipment’s and facilitates testing and laser alignment services providing quality service support for its customers. In pursuance of its constant endeavor to keep up with the market demand and improve the capability and range of its products, the firm has expanded its product portfolio by launching a range of certified centrifugal fire pumps under the brand “Al Khoory pumps”. Being in compliance with NFPA 20, AL Khoory fire pumps are listed by Underwriters laboratory (UL) and approved by Factory Mutual (FM). The firm has its own state of the art testing facility where the fire pumps are tested and inspected by UL and FM engineers. The test facility is fully equipped and utilizes all test instruments calibrated to ISO 17025 where every pump is subject to performance and hydrostatic test. The facility also has a fully equipped assembly line where pumps undergo inspection and production control to ensure highest levels of quality standards. Having the complete unit responsibility of the fire pump set, we at Aikah Pump Assembly undertakes strict quality control measures to ensure total compliance with NFPA 20. Ayzo International specializes in fire detection and protection engineering, code consulting and security consulting. We offer a comprehensive, integrated set of fire safety products and services for every building type. In addition, we provide a complete line of Electrical Security Solutions. We work with building owners, architects, developers, real estate property and facility managers, institutions and government agencies to build long-term relationships based on a proven approach to life safety engineering and risk control. Collyer Enterprise belongs to BS Group established on 2012 to provide integrated compliance solution to readymade garments industries in Bangladesh as per NFPA standard followed by Accord & Alliance. We have years of experience in helping organizations to achieve their business objectives, together with extensive consulting experience. We fully understand the unique challenges that industries face and can tailor solutions for factory’s specific requirements. COLLYER ENTERPRISE, is a professional services organization registered in Bangladesh, provide a full range of professional services, business solutions and UL-Listed products to ensure quality and standard. Over the year, COLLYER ENTERPRISE has grown rapidly and is developing into a world-class business, with excellent capabilities in delivering integrated solutions management, product supply and technology consultancy in the converging markets of Building & Fire Safety through our team of professionals and through strategic partnerships. A compelling mission and vision continually drive us. Headquartered in Jacksonville,Florida, USA,EMACO is a global provider of FIRE SAFETY solution product . 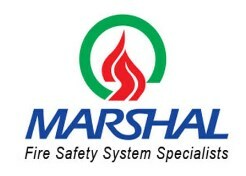 We are well known for providing Fire Protection and Fire Alarm System. We have own UL listed Fire protection product in the name of EMACO. We are also the distributor of EBARA, JAPAN & GST( A brand of UTC, USA). EMACO was founded in 2009 to become the world's leading producer in the field of life safety solution. We are commited to promote integrated solution that are smarter, energy efficient and sustainaible. EMACO Global operates business with global scale and strong customer ties, focusing on positive social impact. Genuine Technology & Research Ltd is an engineering firm that handles consultation, design, installation, commissioning and maintenance of fire protection, fire detection & fire suppression system for the commercial and government markets. Whatever your business, wherever you work, GTR Fire Systems solution can be designed to protect your team and your operations. We provides complete fire life safety services designed to protect buildings, assets and people. We have the experience and capabilities to handle projects from a small tenant remodel to a large industrial facility. Apparel CAD/CAM, Video Surveilence, Enterprise Software, Time Attendance, Fire Safety, Power Backup, LED Lighting, Security System, and IT & Networking. Guard Technology Limited is an Engineering, Contracting and Service Provider for wide range of services-design, supply, installation, maintenance, testing and commissioning Company and is one of the leading Supplier of Choice for Fire Detection and Fire Protection Systems. Guard Tech follows NFPA a strict globally accepted standards in providing Fire Safety Solutions. The services and solutions we provide are individually tailored to our client’s need and take account of their objective for statutory compliance, duty of care and protection of their business. Regular inspection and review of all Fire Safety Systems and Equipment is of paramount importance. Our ability to back it up with comprehensive training, efficient maintenance and thorough system know-how has greatly reduced the risks among our various clientele. KUULMERCHANT LTD. was established in 2005 as one of the best STEEL FIRE DOORS and evaporative air conditioning firm in the country, we have vast experience in designing and installing Steel Fire Doors, Fire Damper and Industrial Ventilation & Cooling System which are used in 100% export oriented garments, Dyeing factory, Poultry firms, Leather, Paper Industry and Properties etc. For Fire Door and Fire Damper, we are only agent in Bangladesh of PCJ INDUSTRIES CO., LTD. was established in 1998, Specialize in production of Steel Fire Door, Air Outlets, Duct Dempers, Duct Silencers and Cable Trunks. Most of their products have been certified by several organizations for standardization, i.e. UL, BSI, Thai Industrial Standards Institute, Air Diffusion Council, Standard Australia. They have their factory established on their own land, area 40,000 sq.m in Kaengkhoi, Saraburi, Thailand. Their Policy has always been, and will continue to be, the production and On Time-Every Time Schedule Delivery of Quality, Reliability and Competitively Priced Products. They have invested for instruments, machines and They have experience engineer teems take full time to research and develop our product lines continuously, including new product designs to meet worldwide market demands. Re-Green Bangla Industries Ltd. is providing UL Classified Fire Doors from Fitzpatrick SAL Lebanon, UL Listed Fire Alarm & Detection System from Cooper UK, UL Listed Fire pump from Waterfall Dubai, Fire Hydrant & Sprnkler Solution from Fireex Dubai and SRI Malaysia. We can also provide Emergency Lighting Solutions. We are also working in the Field of LED Lighting Solution, Energy Monitoring & Energy Saving Solution. SMRITI Trading Corporation is the Authorized Agent and Distributor of TOA Corporation, Japan, for the territory of Bangladesh, specializing in consultation, supply, installation and after sales service of latest high-quality Japanese Public Address (PA) System, Professional Sound System, Conference System, Wireless System, Voice Evacuation System, IP based Intercom, CCTV Security System and a range of professional Microphones, Speakers, Amplifiers, Mixers and Megaphones. SMRITI also provides addressable fire alarm systems by EMS, which is UK’s number one developer and manufacturer of wireless and hybrid fire detection products, and state of the art CCTV surveillance solutions by Korea’s CNB, the world’s best total security solution company. SMRITI is committed to customer service and presenting Bangladesh with the highest quality audio products. Established in 1974, with over 40 years experience, SMRITI has earned the trust and reputation from the people of Bangladesh with nationwide unparalleled installation portfolio, including TOA public address systems in Hazrat Shahjalal International Airport, Baitul Mukarram national mosque, Kamalapur Railway Station, Dhaka Metropolitan Police Department, and in many other government and private sectors. SMRITI consults and supplies to all Government Departments and Ministries, Defence Organizations, Civil Aviation Authorities, Railway, Manufacturing factories, Mosques and Private Sectors all over Bangladesh with great reputation and goodwill. SMRITI’s well qualified, trained (from TOA, Japan) and experienced engineering service personnel renders services right from system design, installation and after sales services to all valued clients. Visit www.smriti.com.bd for more information and showroom information. "A leading importer wholesaler and distributor of steel pipe, pipe fittings, boiler fittings, uPVC valves and fittings and various industrial valve and joint, such as Ball valve, Butterfly valve, Gate valve, Globe valve, Steam valve, Non return valve, Check valve, Steam Trap, for use in oil refinerie, Petrochemical processing plant, Power generating plant,Gas water, Oil pipe line, for water work,Sewerage, city household and industrial gas supply.Agricultural irrigation, Building construction, food processing plant, water treatment plant, air conditioning and heating system. Sonali Traders has a variety of products with different size, materials and various international standard products such as ASTM, ASME, ANSI, BS, DIN, and JIS etc, to meet divers demand in the market. Sonali Traders has 34 years of experience in the industry with effort to ensure good quality of supplied materials." Tyco Integrated Fire & Security, part of Tyco International, helps companies work safer and smarter. 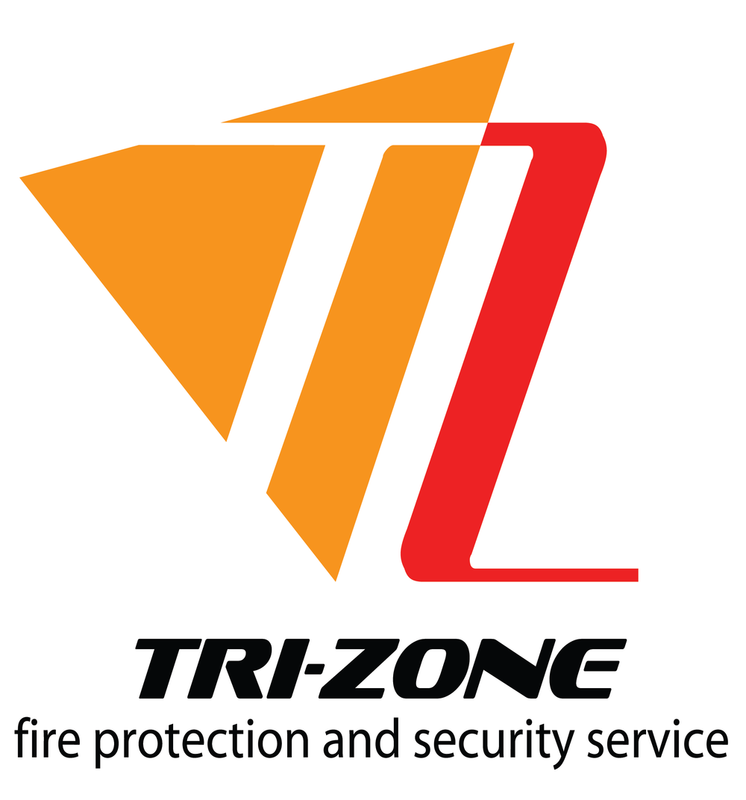 We are dedicated to providing the most advanced business fire protection, security, and life safety solutions in India. We take a consultative approach to delivering tailored, single-source solutions for all types of facilities, offering a comprehensive array of integrated fire alarm, sprinkler and suppression, security against both internal and external threats, Access Control, Video Surveillance, Building Management Systems, Retail Anti Theft Solutions, RFID / Asset Tracking Solutions, Physical Security, Perimeter Protection, sound and communications, and nurse call systems and services. We help you protect your employees, customers, facilities, assets, inventory, processes and operations with solutions tailored to your business, scaled to your enterprise, and enhanced with the most innovative technology tools. Tyco India, for the last two decades, is dedicated to advancing safety and security by finding innovative ways to save lives, improve businesses and protect people where they live and work. Tyco’s India operations span across India, Bangladesh, Sri Lanka, and other neighboring countries. With our diverse and innovative product line, understanding of the local market and a strong dedicated workforce we can deliver end-to-end solutions across sectors, be it Banking & Finance, Healthcare, Manufacturing, IT and ITeS, Pharmaceutical, Manfucturing, Industrial, Retail or Logistics. As one leading professional and well-experienced enterprise, “ASICO DOOR” is specialized in producing Steel Fire Doors: American UL standard up to 3 hours. R38744 SWINGING -- TYPE FIRE DOOR: 1HR to3 HRS R38745 FIRE DOOR FRAME: 1HR to3 HRS Wooden Fire Doors: UK BS476 standard from 30 minutes to 120 minutes Solid Wooden Doors: Solid doors, semi-solid doors and panelled doors Now our products have been offered to more than 30 countries, and we are professional for projects specially in middle east like UAE, QATAR, SAUDI, KUWAIT, And we can arrange our technical carpenters for installation at site in GCC countries. With Quality First of guarantee as we promise, our enterprise is confident to serve you high quality products at the same time to lower down your purchasing cost. New-Tech International Ltd is the importer, supplier, installer and service based company for fire detection and protection system. We are the exclusive agent of VES Fire Detection System (USA), Patterson Fire Fighting Pump (USA), and Globe Sprinkler (USA). Fire safety is our main job. The National Fire Protection Association (NFPA) is a global nonprofit organization established in 1896 and devoted to eliminating death, injury, property and economic loss due to fire, electrical and related hazards.